To add to something is one thing, but to keep the essence of it while including more aspects is where things may tend to get difficult. 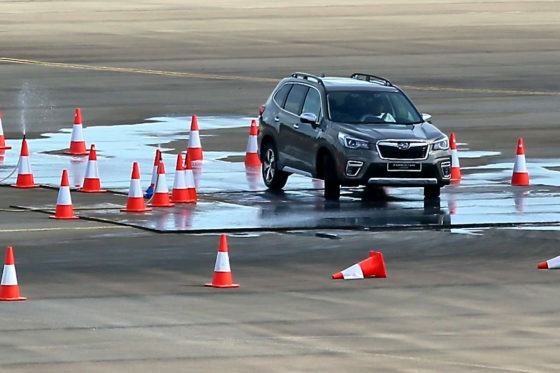 This was probably the case when the engineers of the all-new Subaru Forester e-Boxer were assigned such a task. There is a saying that goes “nothing drives like a Subaru”, and it’s true because they do their best to keep the car symmetrical. In this symmetry lies their signature maneuverability and driving feel. Other manufacturers will just have to simply add an electric motor and call it a day. Subaru on the other hand had to make sure everything stays symmetrical with these new additions. Thanks to the positioning of their electric motor, they were able to accomplish their goal of keeping things symmetrical. Going hybrid though comes at a price: weight. 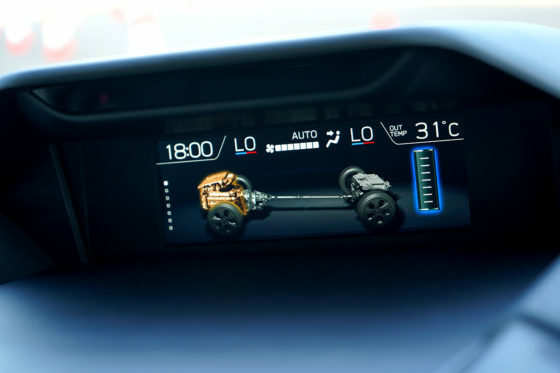 The addition of a lithium-ion battery means that there is more weight on the car and the loss of a spare tire but is resolved with a beefier rear suspension. 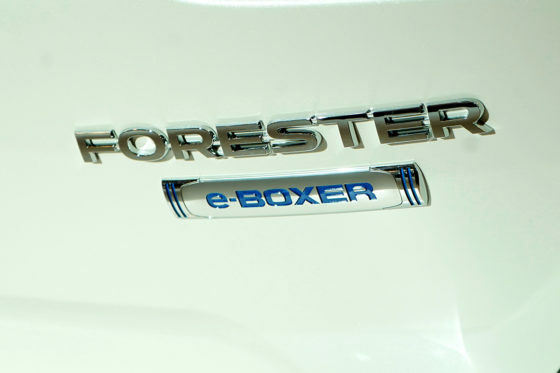 The Subaru Forester e-Boxer looks exactly like the regular one. The only giveaways are probably the e-Boxer badges and the additional info screen at the LCD Info Display at the front. 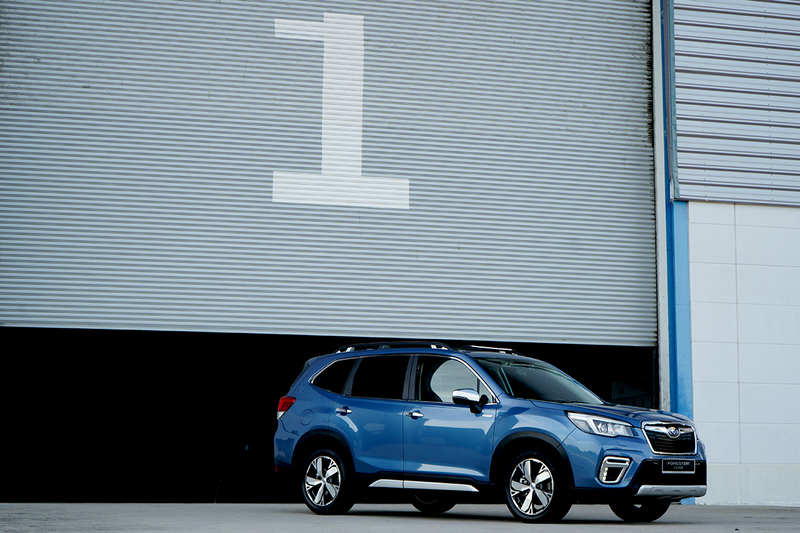 Other than that, it is the same lovable Forester with the same cargo versatility of more than 500L. 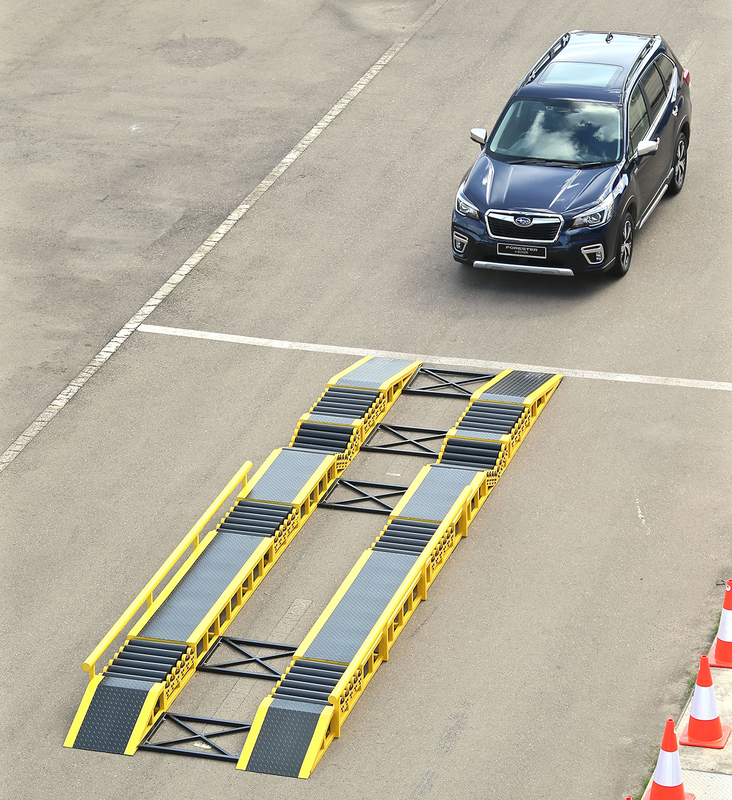 So we got to test the Subaru Forester e-Boxer in a track that they made which featured its acceleration, handling, capability to take sharp turns at high-speed, and how it would react on a surface that had close to zero traction. I was really impressed that the Forester felt familiar to the non-hybrid version. 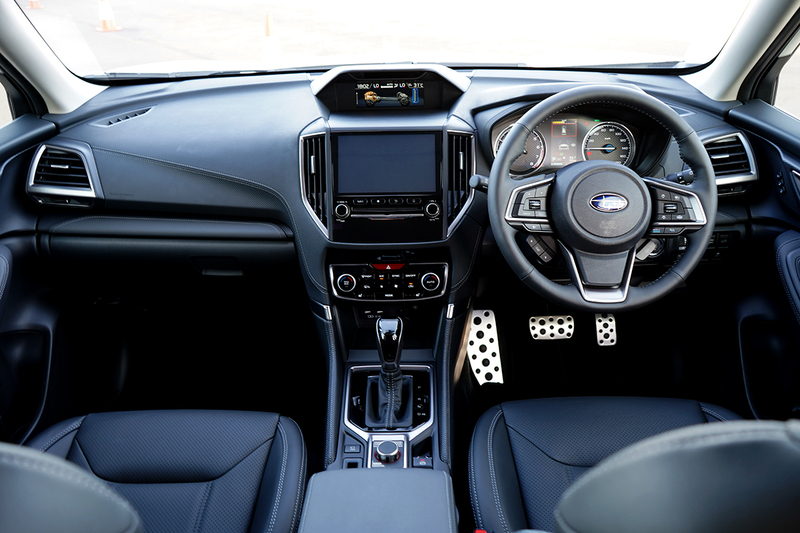 For a review on that 2019 Subaru Forester, click here. With all the additions, usually you will feel a difference somewhere. In this case, it was difficult to pinpoint it. 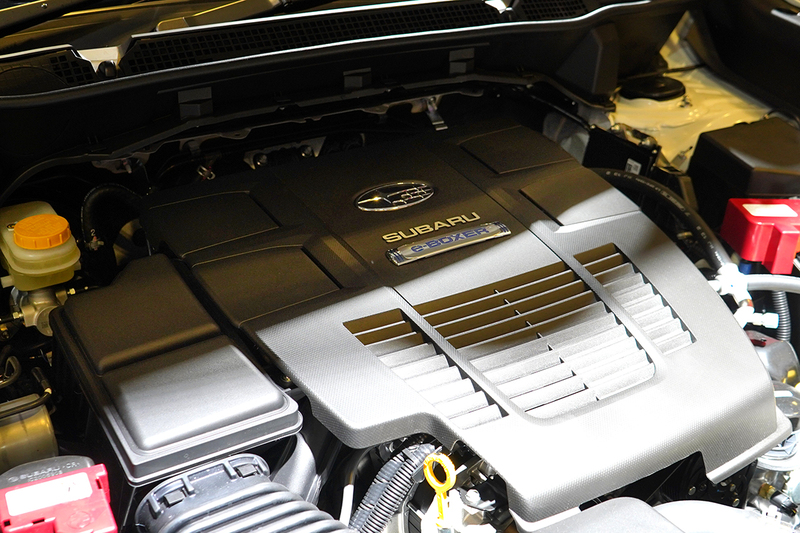 The symmetrical AWD of the Forester proved yet again its pulling capability, but this time around instead of relying on just the combustion engine, the initial acceleration starts out using the electric motor, then both engines in unison, then the gas engine once things start rolling. It was seamless, with only the info screen and the RPM gauge showing which engine is used. 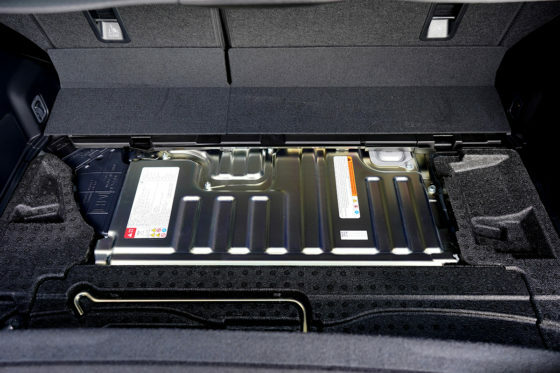 I was worried that with the location of the lithium ion battery on the rear of the Subaru Forester e-Boxer that there might be some imbalance on the handling of the car, but it holds is ground just like the regular Forester. On the traction test section, which was steel plating covered in diluted liquid detergent, I was almost certain that physics was up to no good. On the cars we tested, oversteering was inevitable if you didn’t know what to do on that situation. The Forester on the other hand not only knew what to do with the power delivery, it also felt balanced in doing so. With an electric-only range of around 50 km, I kind of wish it was a plug-in hybrid with an all-electric mode. 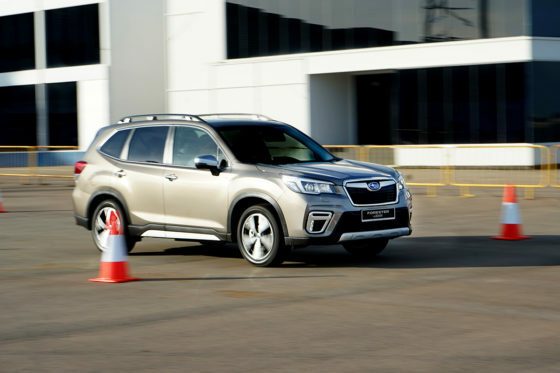 But as it stands, the 2019 Subaru Forester e-Boxer is already a fantastic SUV to begin with. 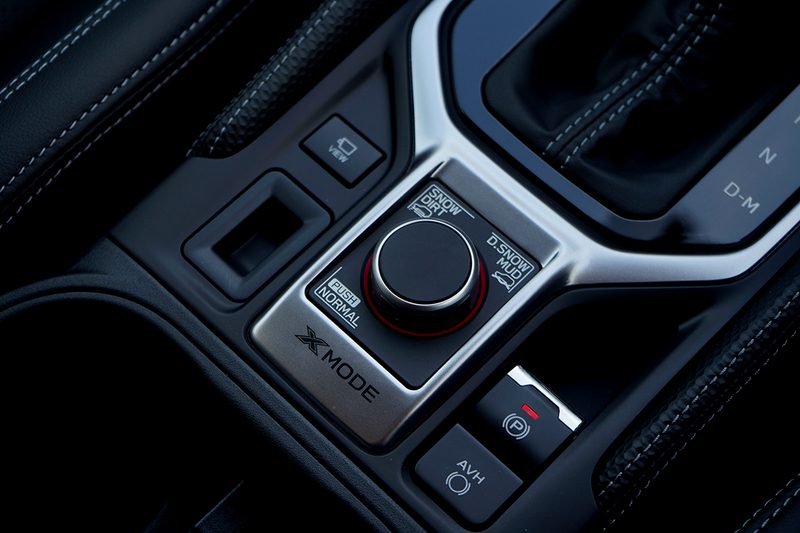 It masterfully blends the familiar with the new. If my guess is right, this might be the reason why they withheld the turbocharger and instead used the hybrid system to add additional power without increasing engine size. 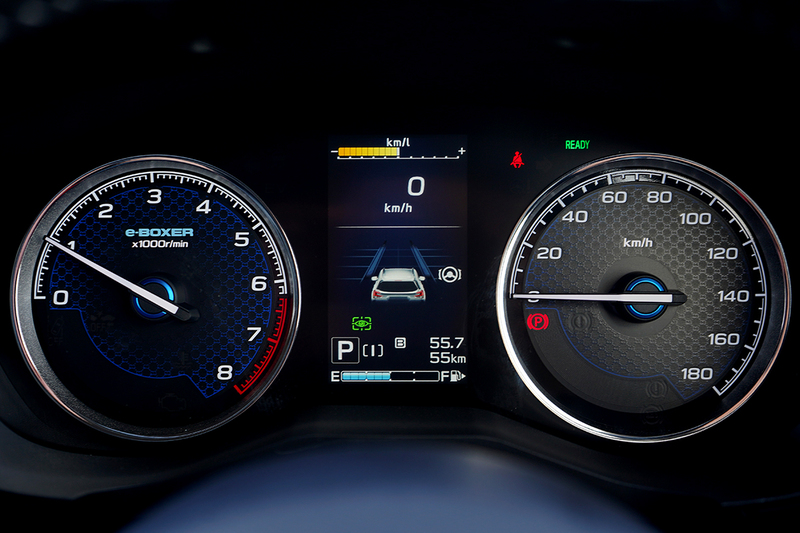 It’s fantastic to see companies like Subaru moving forward when it comes to automotive technologies. 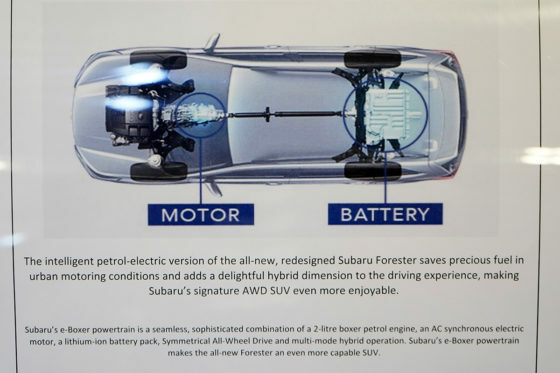 We hope to see the Subaru Forester e-Boxer by 2020, which should be enough time for battery technologies to be affordable and better than ever.